Because of the very nature of magic, each working should be highly individualized and personal. 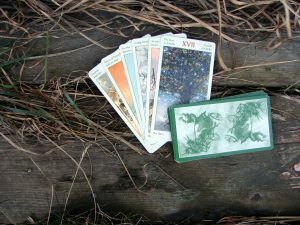 Even if following a traditional spell, it should be tailored to your specific needs to be most effective for you. Understanding the basics of spell construction will enable you to formulate your own specific, effective spells for any purpose you desire. It is important, also, that you choose your time carefully. You should take into consideration all astrological implications, energy currents and moon phases. The moon is the astronomical body closest to us and, therefore, has a profound influence on us, it is very important to choose a time when the moon is in an astrological sign which is appropriate for your working. Pisces sensitivity, idealism Bear in mind that magical workings for gain, increase or bringing things to you, should be initiated when the moon is waxing (from dark to full); when the moon is waning (from full to dark), it is time for magical workings of decrease or sending away. The highest energy occurs at the full moon and, therefore, this is the most powerful time for magical workings. The new moon is the next most powerful time for magic. Whenever possible, follow nature’s natural energy currents. There is a natural time for starting things (a planting time), for maturing things (a growing time), for reaping things (a harvest time) and, of course, a time for rest and planning. Flowing with these currents will make your magical work much easier. Remember to plan your project for a time of uninterrupted privacy. It is important that you have no distractions. Generally speaking, it is best to work as late at night as possible. A time when there is less frantic energy is most appropriate. You might consider midnight or later. In choosing a place to do your magical working pay particular attention to your needs, for you must be comfortable. Your place should be private, quiet and secure. If at all possible, set aside a special place for this purpose only. An unused room, a special corner of your bedroom, a quiet, secluded spot in your garden. A place that is yours. A place that you can come to whenever the need arises and that is as free from the intrusion of others as possible. Prior to the night of your magical working, gather together the things that you will need. All of the things used are tools. They have no inherent magic. They are to help you create a mood. If correctly made and used, they will trigger primitive responses from deep within you. They should be chosen with care. Consider the purpose of your ritual and choose your tools accordingly. If your magic is to be sexual, your candles, oils, incenses and so forth, should bring forth a sexual response. If the desired result of your magic is tranquility, then the tools should make you feel calm, peaceful and serene. Any candles you might use should not have commercially added fragrances as these may not be appropriate for your working. Most often a ritual bath is a preferred method. A bath frequently utilizing candlelight, fragrant herbs, bath salts or sensuous oils. A sumptuous hot bath, special bathing preparations and appropriate lighting, combined, can create the soothing effect which will help in the very important step of relaxing and clearing the mind completely of all mundane thoughts and experiences of the day. Your ritual bath should, also, begin to set the specific vibrations conducive to your purpose into motion. You must not only cleanse and purify but must, also, begin to create the type of energy necessary. Once your purification process has been accomplished, you are now ready to begin. Proceed to the special place you have previously chosen in which to perform your magic. If at all possible, you should make use of the primitive responses set into motion by a well-chosen piece of music. Your music should start slowly and build to a rousing climax. The altered state of consciousness that you must reach is not a meditative state. Anything that interferes with your ability to concentrate upon, reach and control the high energy state necessary to perform magic should be avoided. Such as, screaming children, a sink full of dirty dishes, use of alcohol or drugs, etc. Do not scatter your energy by attempting to do more than one magical working at a time. One of the most important elements in the practice of any form of magic is the universal law of cause and effect. This means that whatever you do (or don’t do) you cause something to happen. The most important consideration is the universal law of retribution. This means that no matter what you do, it comes back to you in like kind. It is the nature of things that as you send something out it gains momentum, so that, by the time it comes back to you, it is stronger.